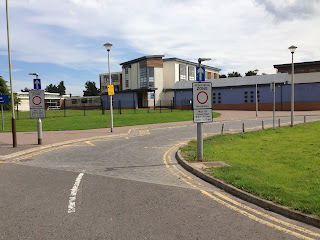 On Thursday I cycled round to Forthill Primary School to check that the new 'No Entry' signs had been erected outside the school to block access to the Eastern end of Fintry Place that runs past the school up to the entrance to Forthill Sports Club. This road safety measure was introduced to help improve the safety for children outside the school in the mornings and and afternoons. On Thursday, I saw that the signs had indeed been erected but disappointed that they were in the wrong location - see above. I took a photograph and emailed it to the Transportation Department. Give them their due, they reacted very promptly and instructed the contractor to go out again, as a matter of urgency, and put up the signs in the right place. 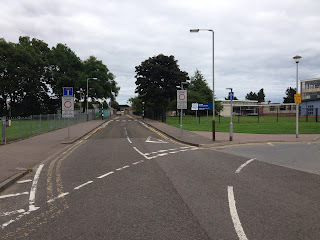 Two days later, when I passed the school, the signs had been relocated. 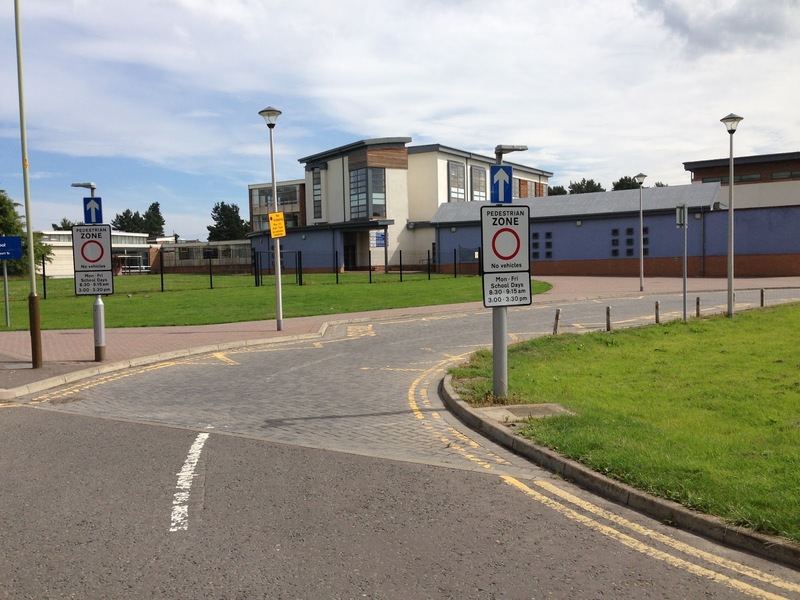 I trust that parents and carers will respect the new traffic restrictions when they are dropping off and picking up their children when new school term starts on Tuesday.